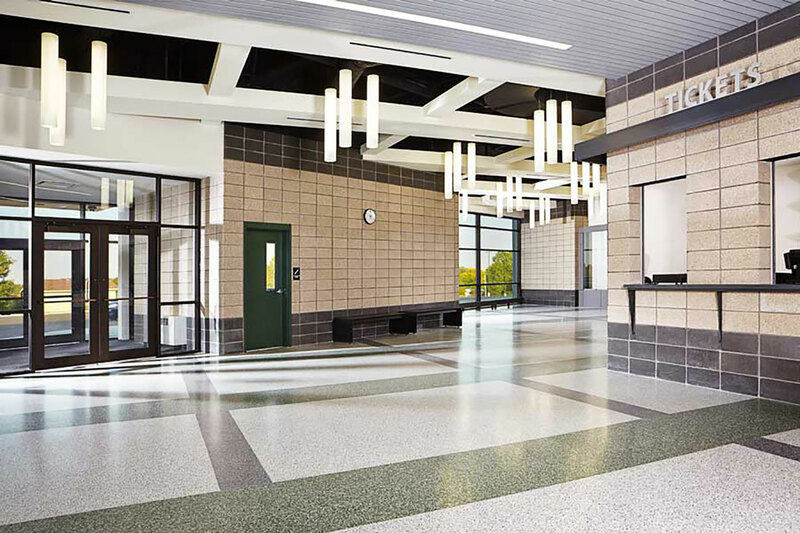 The Dubuque Community School District knew Hempstead High School was in need of upgrades after having completed a facility assessment. 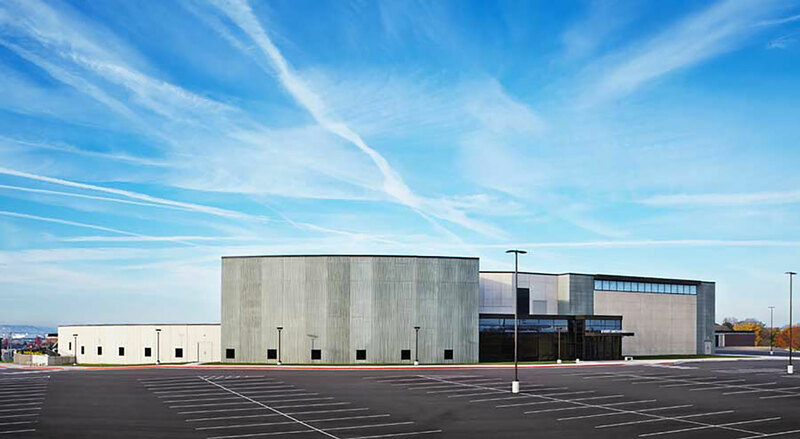 With enrollment increasing the District wanted to enhance the schools ability to teach 21st century studies as well as bring the building up to code. 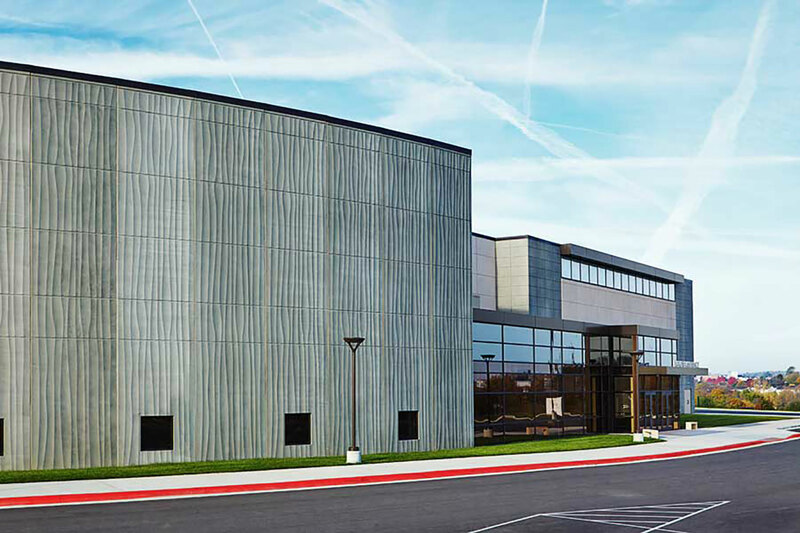 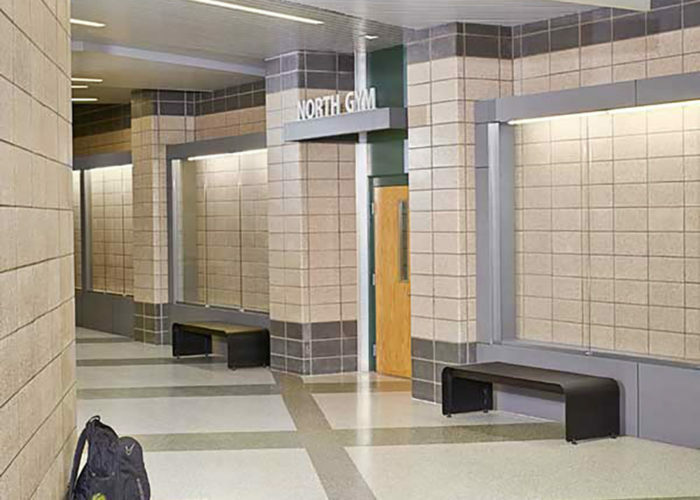 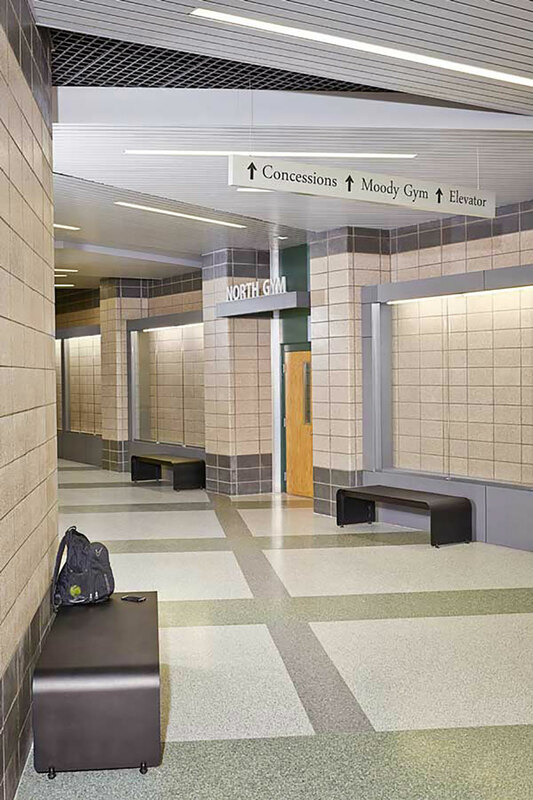 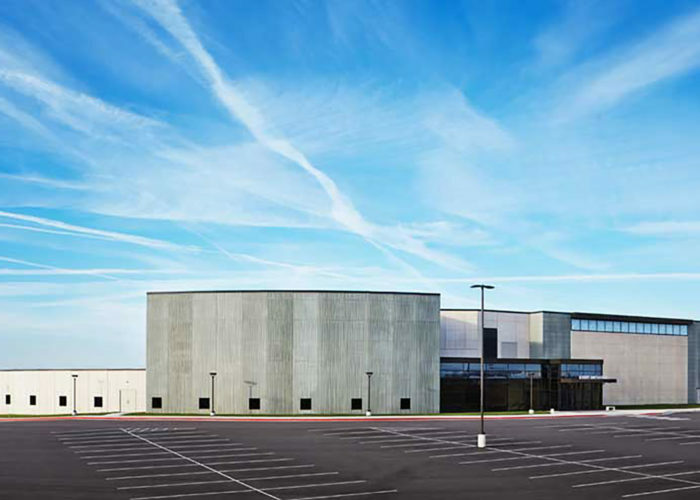 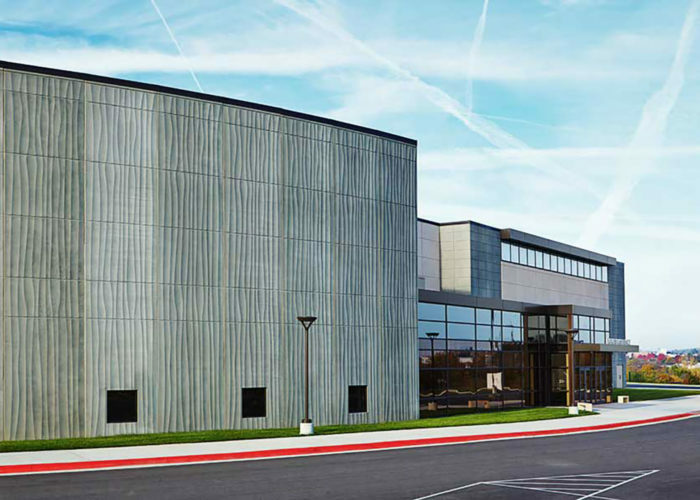 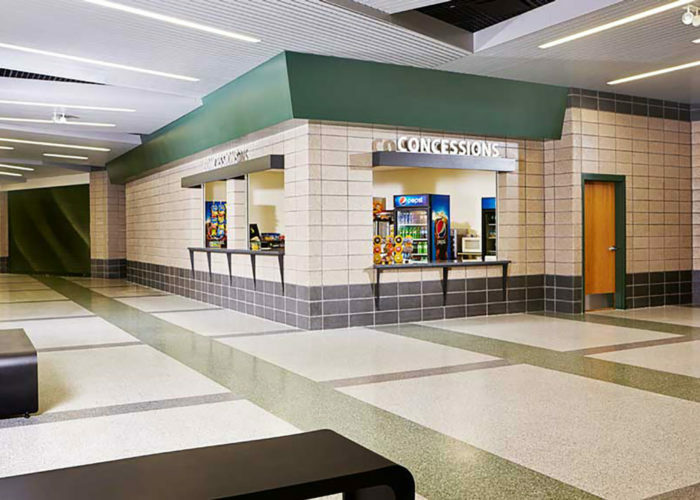 After spending 4 years upgrading other areas of the building the District hired FEH DESIGN to design additions to the facility that included sports and performance areas that were much needed. 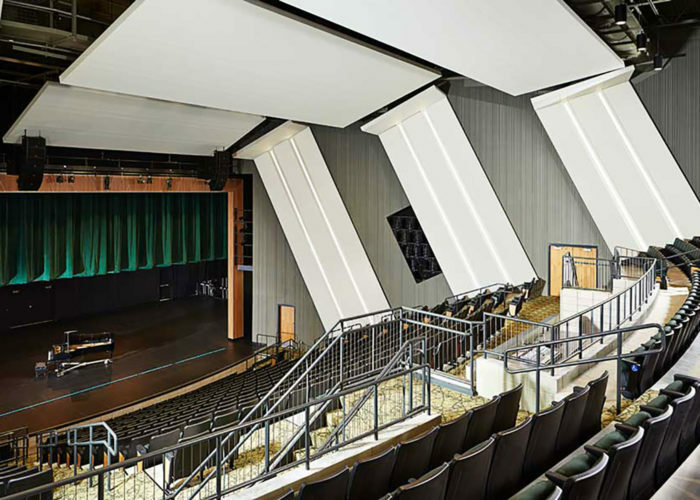 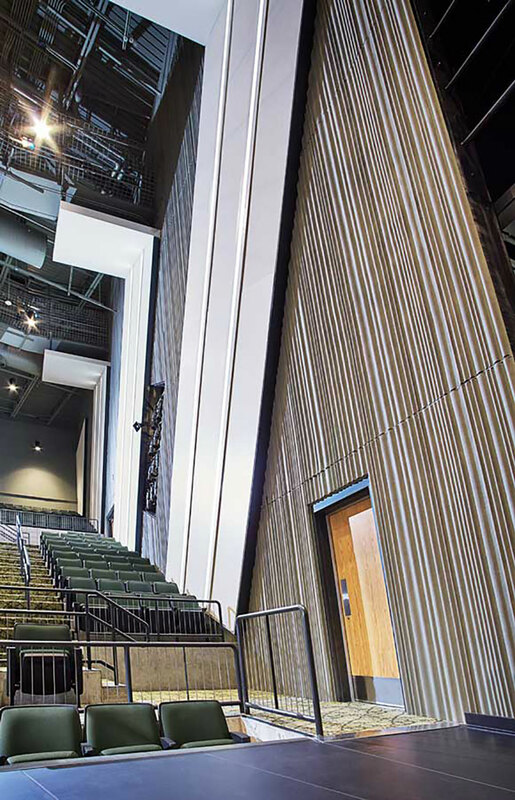 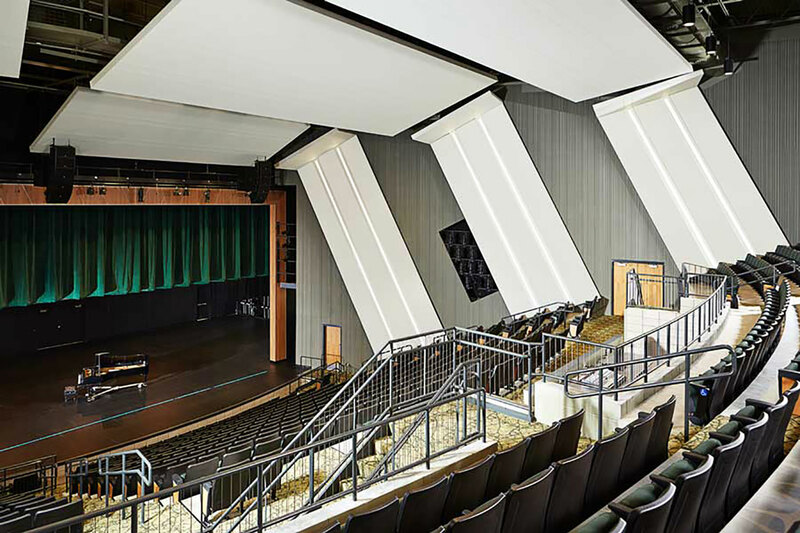 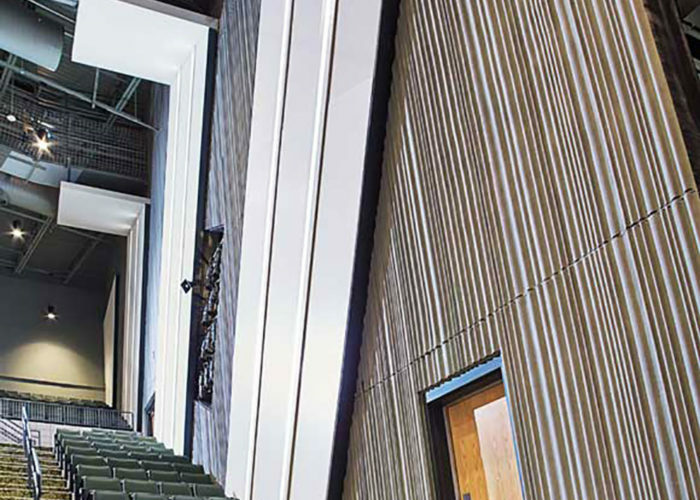 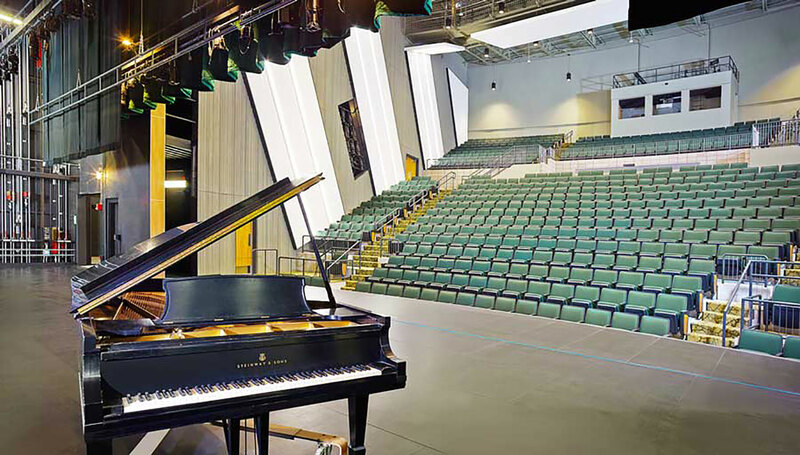 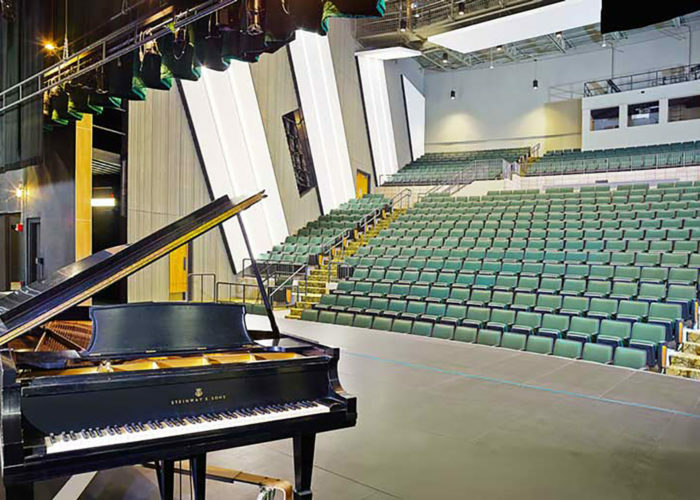 Included was an impressive 700+ seat auditorium and support spaces that help the music and drama departments put on state-of-the-art productions without the limitations that their old theatre provided. 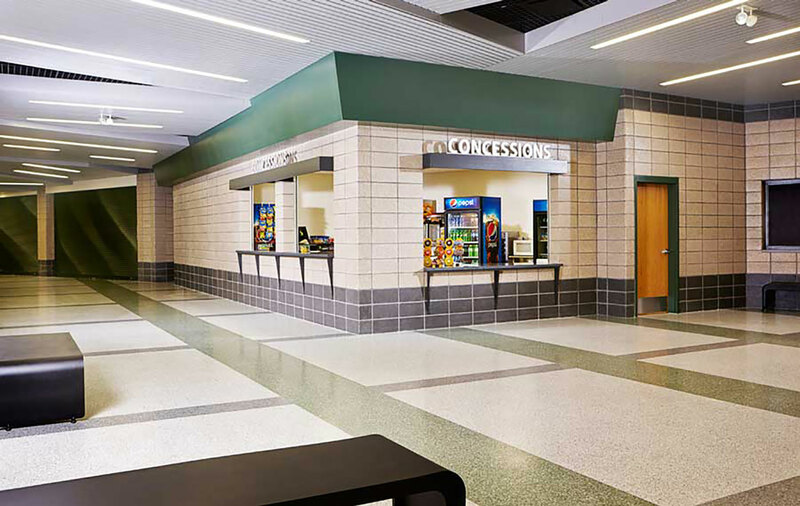 The new entrance to the Sports and Entertainment section helps keep the school secure during sporting and fine arts events. 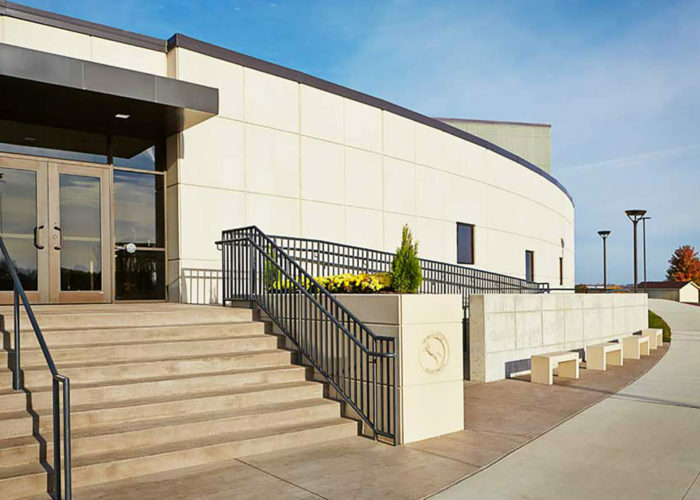 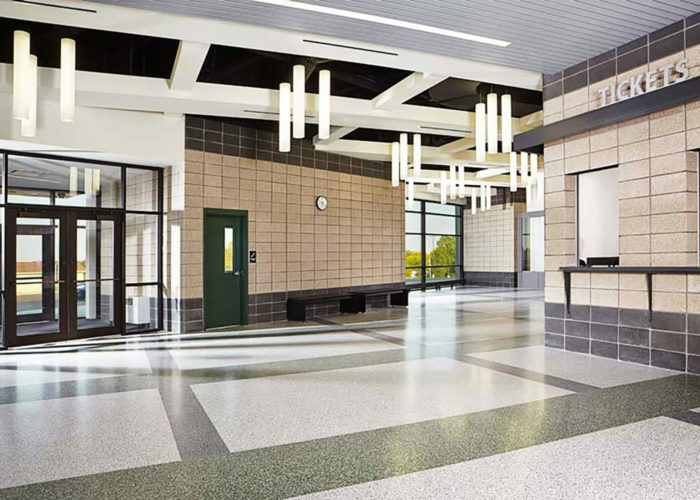 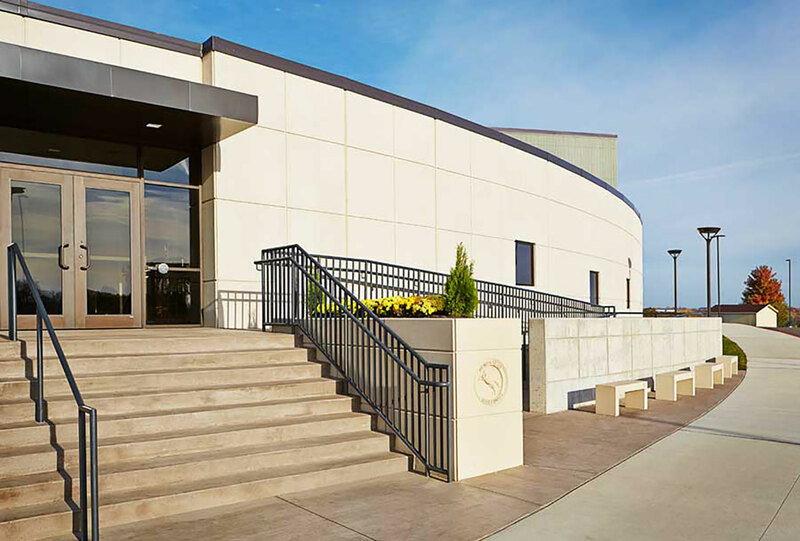 Also included was a two-story addition at the east of the building which created a new and obvious day time entry that provides safe & secure access control as well as a new refreshed identity for the high school.